For many years, butter was the “unhealthy” bad boy on your toast but as more people are opting to eat less processed foods, butter’s making a comeback. In 2014, butter made up 54 percent of Kiwis’ overall spending on butter and margarine. Despite the hype, the weight of evidence isn’t backing butter. We looked at 52 spreads to find out what was in them. We also checked their nutrition information and calculated their health star rating. 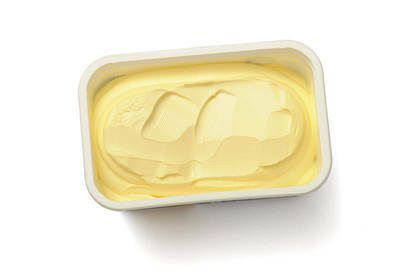 The main ingredient in butter and most table spreads is fat. 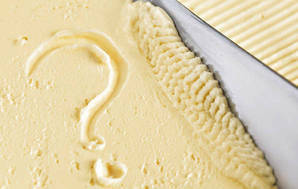 Butter is more than 80 percent fat and the table spreads in our survey mostly ranged from 46 to 70 percent. But not all fats are created equal when it comes to your health. Fats and oils are made up of fatty acids – saturated, trans, monounsaturated, and polyunsaturated. Different oils or fats will have varying levels of these fatty acids. Saturated fat raises the total cholesterol and levels of “bad” LDL (low-density lipoprotein) cholesterol in your blood. Saturated fats can also promote blood clotting, which can lead to heart attacks or stroke. Saturated fats are found in animal fats, as well as palm and coconut oil. Trans fat raises total cholesterol and LDLs, and may also decrease your levels of “good” HDL (high-density lipoprotein) cholesterol. Small amounts of trans fats occur naturally in butter but harmful trans fats are formed when liquid oils are hydrogenated to harden them and make them more stable to use. Most table spreads contain less than one percent trans fats – a vast improvement on the eight percent some products contained in our previous surveys. Polyunsaturated and monounsaturated fats are “good” fats. They help lower LDLs and monounsaturates are thought to raise HDLs. Canola, avocado, olive oils and rice bran oils are high in monounsaturates. Sunflower and soya bean oils are high in polyunsaturates. It’s the energy and saturated fat content, as well as sodium, that influences the health star ratings for table spreads and butter. Health star ratings assess a food on its overall nutritional profile – half a star to five stars (the more stars the better). Five spreads we looked at (Gold’n Canola Lite, MeadowLea Lite, Pams Lite Canola Spread, Budget Table Spread and Flora Light) got four stars. All are comparatively lower fat (less than 50 percent), have no more than 12 percent saturated fat and moderate levels of sodium. If you’re a fan of olive oil-based spreads Olivani Lite, Olivani Avocado and Bertolli Olive Oil Spread Light managed 3.5 stars. But you might be surprised how little olive oil they contain – just 14 to 16 percent. The news isn’t good for butter lovers. 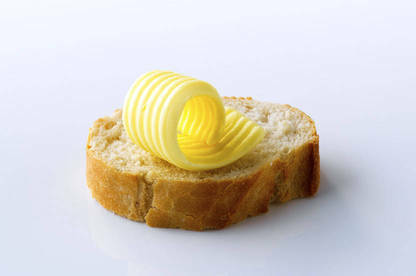 Butter has about 50 percent saturated fat and high sodium levels so it only gets half a star. Unsalted butters fare slightly better, but still only earn one star. Butter blends – spreads that combine butter, buttermilk or milk solids, softened with vegetable oil – have less saturated fat. Anchor Trim Dairy Blend, Country Soft Lite or the higher fat MeadowLea Irresistibly Buttery, MeadlowLea Buttery Whipped and Flora Buttery get three stars or higher. Many table spreads in our survey contained palm oil but you may not know it from reading the ingredients list. There’s no requirement for manufacturers to disclose palm oil – it often hides under “vegetable oil”. Palm and palm kernel oil are high in saturated fat. Their production can also have major environmental impacts. We asked companies to disclose what vegetable oils are in their products. Some were more open than others. Unilever says its spreads are made with a combination of sunflower, canola and palm oil. Typically the oil with the highest contribution is mentioned in the ingredients list. The proportion of oils varies because of supply fluctuations. Fonterra Brands says where vegetable oil is listed, it is palm oil. The supermarket house brand products all stated the specific vegetable oils. But if you’re vegetarian you’ll want to steer clear of Budget Table Spread. As well as palm oil, it includes beef fat. Goodman Fielder declined to provide the information. Jim Mann, Professor in Human Nutrition and Medicine at the University of Otago, says there is a huge body of evidence suggesting the benefits of replacing saturated fat with poly and monounsaturated fats. “Using margarine as a replacement for butter is one way of helping achieve this. Other options include dipping bread in good oils such as olive oil,” Professor Mann says. 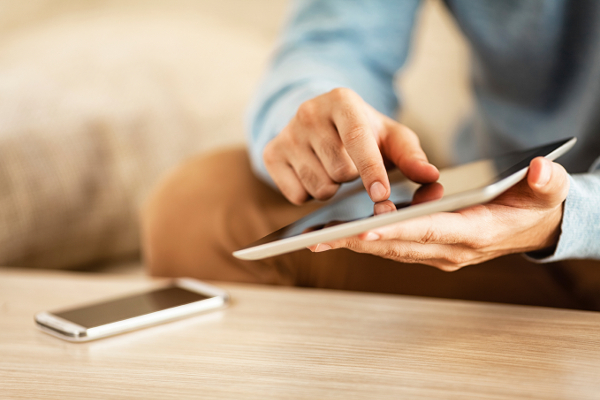 Last year, the Cochrane Collaboration updated its review of the evidence. The review found cutting down on saturated fat led to a 17 percent reduction in cardiovascular disease, although there was no effect on death rates. Replacing saturated fat with polyunsaturated fats showed the greatest benefit for heart health. The Cochrane review was followed by a study published in the Journal of the American College of Cardiology. The study followed more than 127,000 men and women over 30 years and concluded replacing saturated fats with unsaturated fats or wholegrains was associated with a lower heart disease risk. Rod Jackson, Professor of Epidemiology at the University of Auckland, says the reduction in coronary heart disease mortality in New Zealand since the 1960s is consistent with our reduced consumption of saturated fats. Not everyone thinks we should be cutting back on butter. But not everyone thinks we should be cutting back on butter. Dietitian and AUT senior lecturer Caryn Zinn says margarine is a heavily processed product made from industrial seed oils and rich in inflammatory omega-6 polyunsaturated fats. “In contrast butter is a natural, dairy-based fat, which contains other nutrients,” she says. Saturated fat enthusiasts point to studies supporting their position. The latest is a paper published last month in the British Medical Journal. The study concluded that, although replacing saturated fat with polyunsaturated linoleic acid lowered serum cholesterol, there was no reduction in heart disease or death rates. But the review has been criticised. Professor Jackson says the study involved an extreme intake of linoleic acid and only one quarter of the participants were followed for more than a year. Other experts say the paper’s conclusions are irrelevant to current dietary recommendations and shouldn’t change dietary advice. Angela Berrill, the Heart Foundation’s national nutrition adviser, says healthy eating guidelines recommend we limit our intake of saturated fat and replace it with unsaturated fats. “One of the main ways to do this is by replacing butter with healthy oils, such as margarine. For those who choose not to use margarines, avocado, hummus and nut or seed butters are good alternatives,” she says. Gold'n Canola Lite 4 46 10.9 0.3 330 Canola (36%), unspecified vegetable oils. MeadowLea Lite 4 46 11 0.3 340 Canola (37%), sunflower. Pams Lite Canola Spread 4 48.8 11.5 0.4 349 Canola (31% minimum), palm. BudgetTable Spread 4 48 12 0.7 349 Canola, palm, beef fat. Home Brand Canola Spread 3.5 55 13.4 0.1 350 Canola (44%), hydrogenated palm kernel, hydrogenated palm. Olivani Lite 3.5 55 14.5 0.4 360 Olive (16%), unspecified vegetable oils. Olivani Avocado 3.5 55 14.7 0.3 340 Olive (14%), extra-virgin avocado (7.5%), unspecified vegetable oils. Home Brand Table Spread 3 55 13.4 0.1 700 Canola, hydrogenated palm kernel, hydrogenated palm. Select Classic Olive Oil Spread 3 70 15 <0.1 360 Canola, olive (24%), palm. Pams Canola Spread 3 65 15.3 0.5 349 Canola (42% minimum), palm. MeadowLea Canola 3 65 15.4 0.4 340 Canola (53%), unspecified vegetable oils. MeadlowLea Original 3 65 15.5 0.4 355 Canola (52%), sunflower. MeadowLea Salt Reduced 3 65 15.5 0.4 260 Canola (52%), sunflower. Alfa One Lite Rice Bran Spread 3 56.1 16.2 0.2 385 Rice bran (55%). Olivani 3 65 17.2 0.5 330 Olive (21%), unspecified vegetable oils. Nuttelex Olive 3 65 17.8 0.4 340 Olive (21%), sunflower, canola. Alfa One Rice Bran Spread 1.5 74.5 21.7 0.2 651 Rice bran (74%). Anchor Trim Dairy Blend 3.5 40 13.8 ns 403 Cream (55%), canola (19%), palm, milk fat. Country Soft Lite 3.5 51 13.2 <0.1 400 Canola (40%), butter milk (26%), palm oil. MeadowLea Irresistibly Buttery 3 65 15.5 0.4 355 Canola (52%), sunflower, milk solids. MeadowLea Buttery Whipped 3 65 16.5 0.5 355 Canola (52%), sunflower, milk solids. Flora Buttery 3 70 17 0.63 364 Sunflower seed (36%), unspecified vegetable oils,A butter milk (10%). Country Soft 2.5 68 18 <0.1 400 Canola (53%), butter milk (26%), palm oil. Tararua Super-soft Spread Lite 2.5 60 19.1 2.6 360 Cream, canola (24% minimum). Lurpak Spreadable Slightly Salted Lighter 2.5 57 22 ns 360 Butter (40%), rapeseed. Anchor Lite Dairy Blend 2 60 21.5 ns 400 Cream (55%), canola (30%), palm. Tararua Super-soft Spread 2 70 22 3 360 Cream (41%), canola (34% minimum), butter oil. Anchor Blue Dairy Blend 1.5 70 26 ns 400 Cream (42%), canola (35%), milk fat, palm oil. Lurpak Spreadable Slightly Salted 1 78 35 ns 360 Butter (64%), rapeseed. MeadowLea Cook & Bake Block 0.5 70 32.3 0.4 590 Canola (38%), sunflower. MeadowLea HeartPlus Lite 4 47 11.7 0.3 260 Unspecified vegetable oils. Flora Pro-activ with Olive Oil 4 48 11 0.4 360 Unspecified vegetable oils,A olive oil (7%). Flora Pro-activ Buttery 3 65 15 0.6 364 Unspecified vegetable oils,A butter milk (10%). Alfa One Rice Bran Oil Spread 1 80.7 23.5 0.2 652 Rice bran (80%). GUIDE TO THE TABLE PRODUCTS are listed in product groups by health star rating. FAT, SATURATED FAT, TRANS FAT and TYPE OF FAT/OIL from the packaging or information provided by the manufacturer. ns = not stated. Acombination of sunflower, canola and palm oil. These products contain plant sterols, natural substances that have a similar structure to cholesterol and trick the digestive system into absorbing less of the real stuff. Studies report regular consumption of cholesterol-lowering spreads may reduce your “bad” cholesterol. But these products are pricier than regular spreads and you have to eat around 25g of the spread daily to get that level of benefit – the equivalent of smearing about five teaspoons on your toast. If you’re taking medication to lower your cholesterol, check with your doctor whether including plant sterols in your diet will provide any additional benefits. These spreads give no benefits if your cholesterol levels are normal. Vegetable oil: The main ingredient for most table spreads is vegetable oil. Common oils used are canola, sunflower and rice bran. Water: The less fat in the table spread, the more water it contains. For some lower-fat spreads, water is the main ingredient. Emulsifier: This is added to keep the oil and water mixed together. Butter contains lecithin, a natural emulsifier. Salt: Salt (sodium chloride) adds flavour but too much sodium is bad for your health. Colour and flavours: Milk fat is sometimes added to give the spread a dairy flavour and to enhance “mouthfeel” of the spread. Colour is often added to get the yellow colour we expect in a table spread. Acidity regulator: An acid, such as citric or lactic, is used to control the pH (acidity). This affects microbial growth and oxidation. Vitamins: Vitamins A, D and E can be added. Most table spreads have added vitamins.